After 10 years inTouch has refreshed its branding. We’ve kept our name, and our passion for the colour green but adapted our look to reflect the organisation we are today. 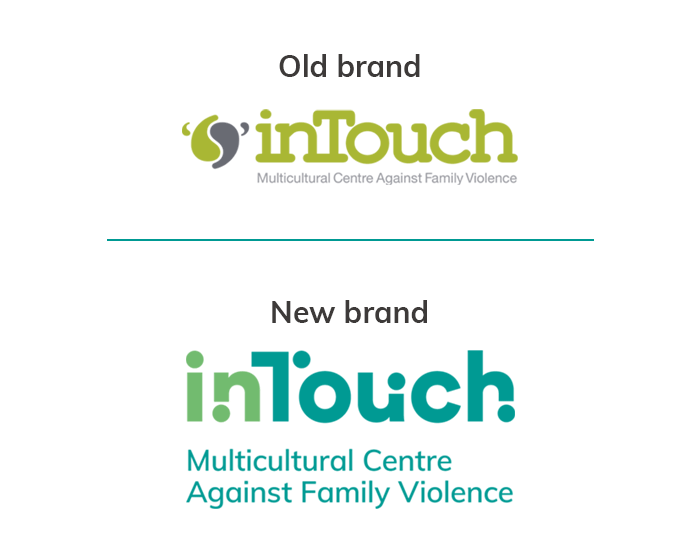 The name inTouch now have 5 dots throughout, this is to symbolise our work across the continuum of family violence, from prevention to early intervention, crisis and post crisis and recovery. We’ve also added different elements in a collage form to represent hope and change, with fabric and water designed to suggest a complex landscape where everyone’s experience is unique. This concept captures the notion of transformation and changing lives. Transformation of the women we support and transformation of inTouch.